FREAKABOUT is an electrifying four-piece rock band from Lincoln, Nebraska. Rooted in classic Rock’n’Roll, the band has also been identified with a very dynamic, eclectic sound that has allowed them to perform alongside multiple genres of bands such as Dead Sara, Jessica Hernandez & The Deltas, Modest Mouse, G-Easy, and more. In support of their debut album “Don’t We All” released in March of 2015, FREAKABOUT began a handful of extensive tours along the east coast, the south and midwest including a spot on the sold out Maha Music Festival. 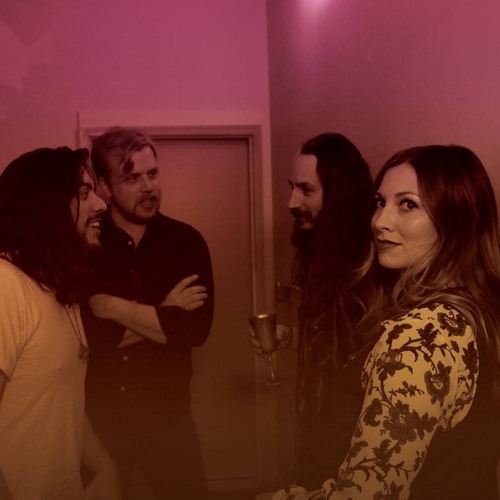 Full of Aaron Galvan’s heavy blues-rock riffs and Cortney Kirby’s powerful voice, “Don’t We All” embodies a true rock lineup, while adding a unique flavor of pop melodies and honest lyrics. The band was recently awarded "Best Rock" at the Omaha Entertainment and Arts Awards in January of 2016 and were listed as one of the "Top Bands to Watch for in 2016" by Hear Nebraska. FREAKABOUT is a true live band. With a heart-pounding groove, paved the way by Ian Francis on drums and Ben Frerichs on bass, the band captivates the audience night in and night out, no matter the setting. They have attracted a wide array of audiences and continue to grow their fanbase, all the while holding true to their own unique interpretation of what rock and roll music is.